This really enjoyable episode of Game Fisher’s Diary sees Rae Borras visiting Anglian Water’s 3,000-acre Rutland Water for opening day to meet a few ‘names’ and learn how to tackle big trout reservoirs like this one. And with 20,000 new fish added for the start of the season, there’s plenty to go at. Fishery manager John Marshall has years of experience and explains Rutland’s stocking policy while passing on great advice for catching from the bank, before Robbie Winram picks out the tackle that’s required on large reservoirs like this one and selects some favourite flies in the excellent Rutland tackle shop. 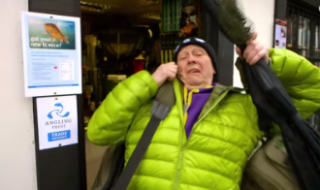 On his way out he bumps into England Lough-Style team manager Craig Barr, but the highlight for Rae and the viewer sees Rae heading out in one of Rutland’s boats with an icon of fly fishing, the great Bob Church. 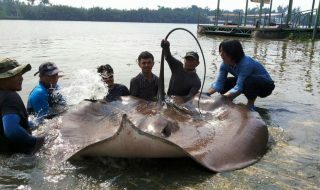 And he still knows how to catch them! 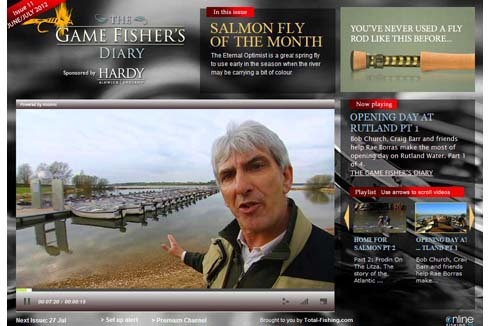 Part 1 and Part 2 of this much-watch made-for-television programme from Fishing TV are free to view in the current issue of Game Fisher’s Diary online, on i-phones and i-pads here on this site – just click on the link below to get started, and use the arrows to scroll through the playlist. Next Not Many Bites at Upton Warren, But The Eels Are Huge!